Last weekend I had the wonderful opportunity to attend the BConnected Conference here in Ottawa. It was the first Blogger’s conference held in Ottawa and the first blogging / social media conference that I have attended. There were many wonderful speakers and I enjoyed networking and speaking with everyone there. One re-occurring theme that seemed to pop up in the majority of presentations was the message that we (as bloggers / influencers) should not be shy about asking brands and other people for help or partnerships. There are brands, companies, and other blogs out there that want to work with you. There may be people out there that you would love some advice from or would love to know how they got to where they are. But you need to step out of your comfort zone and ask. Asking can be scary and uncomfortable but it is the only way that you can stretch yourself and grow. Before entrenching myself in HR I dabbled in many things, one of which was working in radio sales and handling the radio promotions for the station. It was a great and fun job that required me to constantly be asking companies and individuals for sales, giveaways and products. I learned how to put myself out there and ask. It helped to ‘toughen’ me up and deal with rejection. I heard the word ‘No’ a lot. At first it felt like I was hearing the word ‘No’ all the time. Then I learned how to ask people and brands for their assistance, for partnerships and for sales. I learned that it was not all about me….it was all about them. They have no stores located in British Columbia. Fail. Do your homework and make sure it is a good fit for both of you. Whatever you do, it needs to reach their target audience and your message and theirs needs to be aligned. 2)	Like all other networking, it is not all about you. Building relationships and partnerships takes time, effort and reciprocity. Go into any networking and partnership with the mindset that you are going to give more than you get. 3)	Have relevant Data and Metrics. You need to know how many people are reading your blog, sharing your posts and your overall reach. There are many apps and sites out there that can help you with this. Check your dashboards regularly to see how your posts are engaging others. 4)	Mind your Ps and Qs. Good etiquette and people skills never goes out of style. Be courteous and respectful. People and brands are going to be hesitant to work with you if you are always ‘dissing’ or bad mouthing others. There are very few people out there that can get away with that type of persona. That doesn’t mean that you have to agree with everything, everyone says, but remain civil and respect other peoples’ points of view. 5)	Be yourself. If you have a great sense of humor, don’t be shy about letting others see that. Everybody is unique and has their own style so let it come through on your blog and social media as well. Just remember tip 4. I would love to hear any other tips that you may have, or stories you have about working with brands. 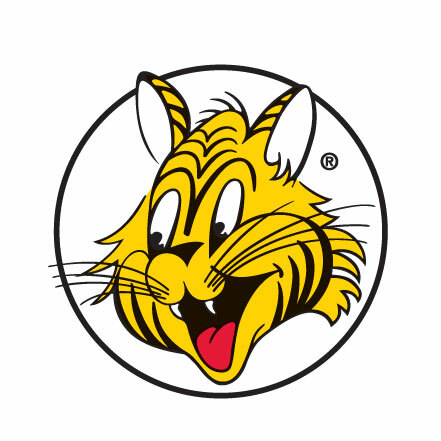 A Big Thanks and shout out to Giant Tiger for their support with my participation at the BConnected Conference in Ottawa. Stay tuned to my blog as I will be doing a special post on their amazing leadership development program and how they engage their employees. They are an employer of choice and 1 of the top 10 employers in Ottawa. Follow them here: Twitter, Facebook, Pinterest and Instagram. Never ask… well, we both know where that leads. Thanks for sharing your lessons learned from the conference and personal experience, Chantal! Great post! Taking those first steps is often the difference between those who achieve great things and those who wonder why others achieve great things. Not always easy yet worth a try for sure!